One thing is certain in farming: change. Typically Stripe Rust (Puccinia striiformis) has been our major concern in recent years. We've seen previously stripe rust resistant varieties like Foote, and more recently Goetze, suddenly break down in the face of newer races of stripe rust (See, How Goetze Stripe Resistance Works). It seems we may be seeing a similar development with Septoria tritici. 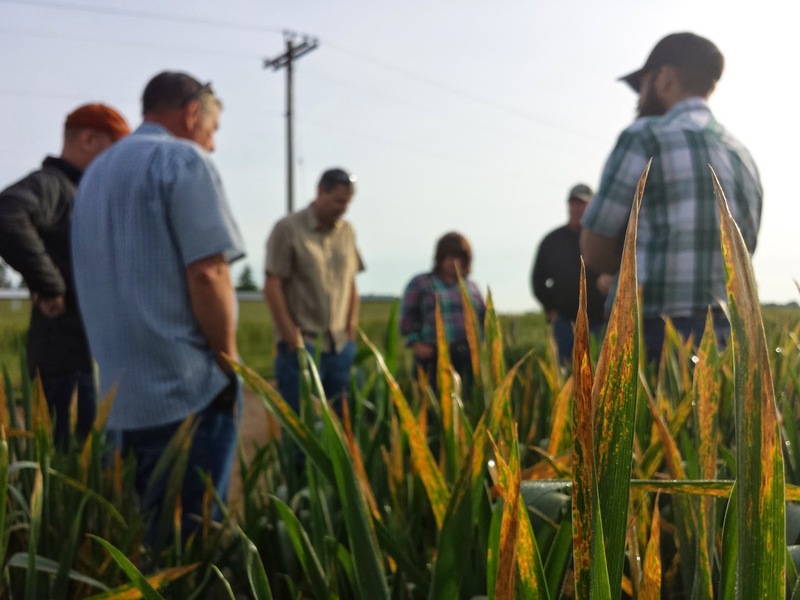 On Wednesday the Tangent field staff went out with Chris Mundt (OSU Plant Pathologist) and Mike Flowers (OSU Extension Cereals Specialist) looked at some infected fields as well as our variety trial at our research farm on Hwy 34. I asked Chris if he would mind writing up a synopsis of what we're seeing, here is his response. 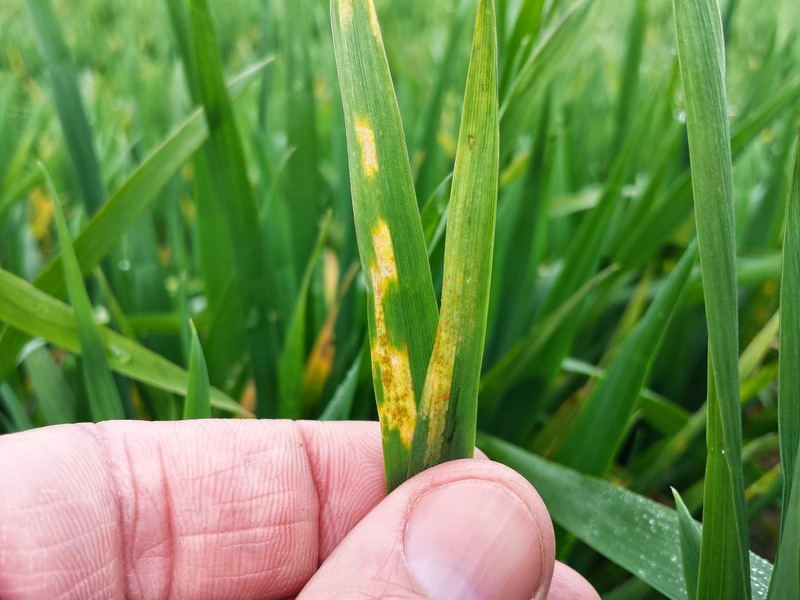 Many current wheat disease issues in the Willamette Valley trace back to the arrival of a new population of stripe rust races in the mid-2000s. These races are both more aggressive and also overwinter better than old races and thus caused significant epidemics. Serious rust outbreaks caused by these races resulted in a substantial increase in the number of fungicide applications. 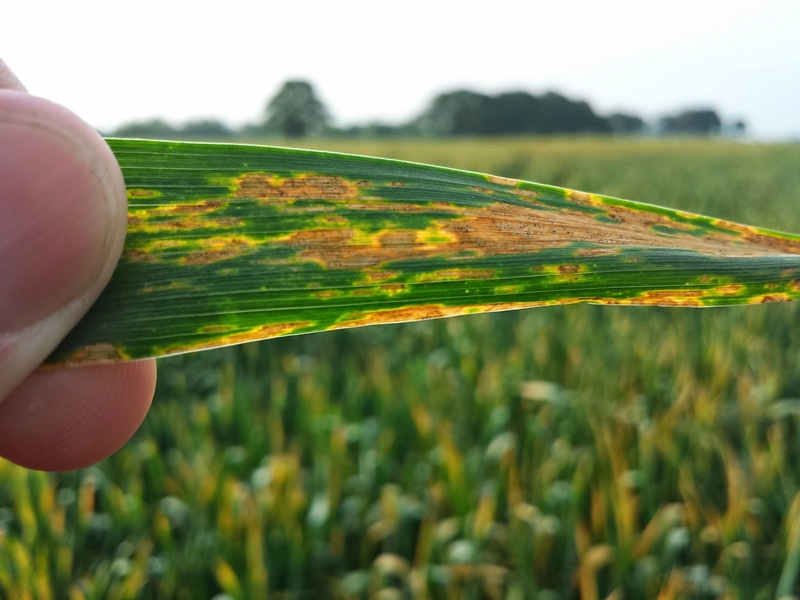 Though this increased fungicide use was targeted more towards stripe rust, they also impacted Septoria, a pathogen that is particularly vulnerable to development of fungicide resistance. Stripe rust problems also caused a shift away from rust-susceptible varieties such as Tubbs 06 and Goetze. 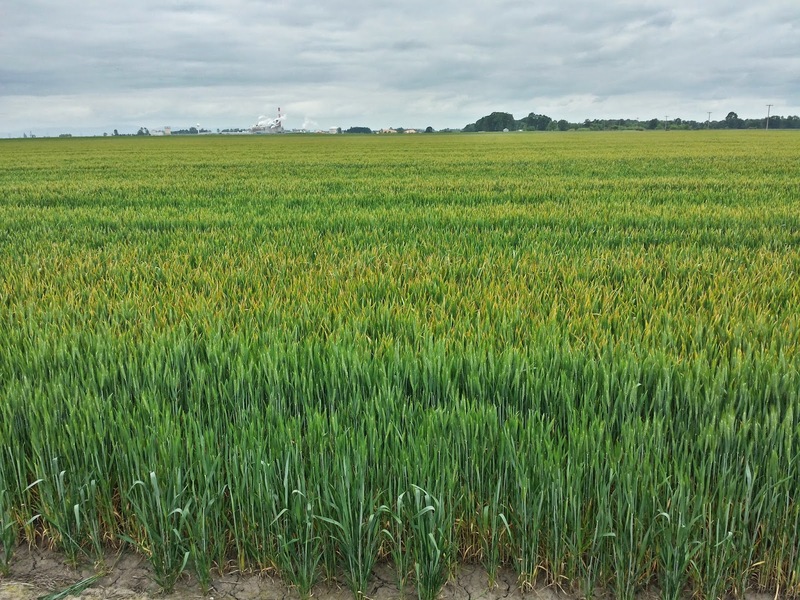 Septoria isolates were sampled from fungicide timing trials in 2012 to determine if increased fungicide use had resulted in selection for fungicide resistance. 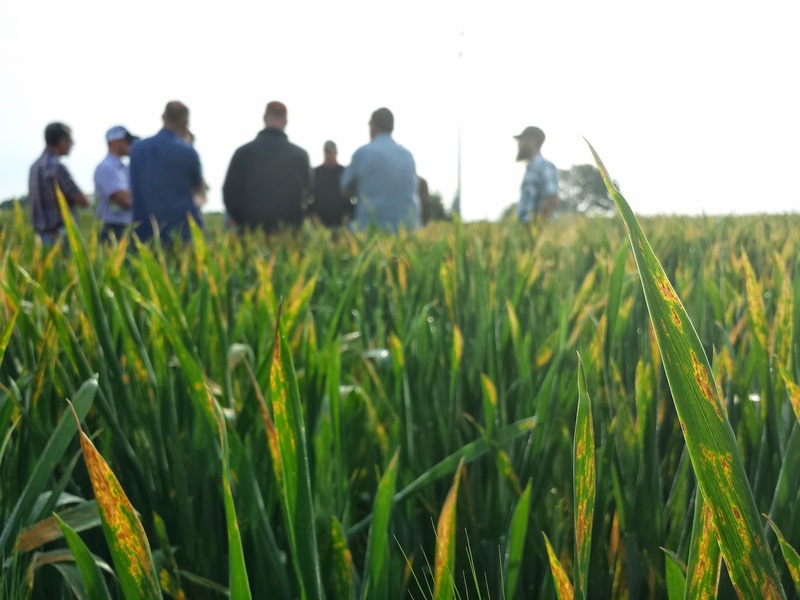 For early-season collections (prior to fungicide application), approximately 8% of Septoria isolates collected from the Hyslop Farm and approximately 60% of isolates collected from a trial near Cornelius were found to be resistant to the strobilurin fungicide azoxystrobin. 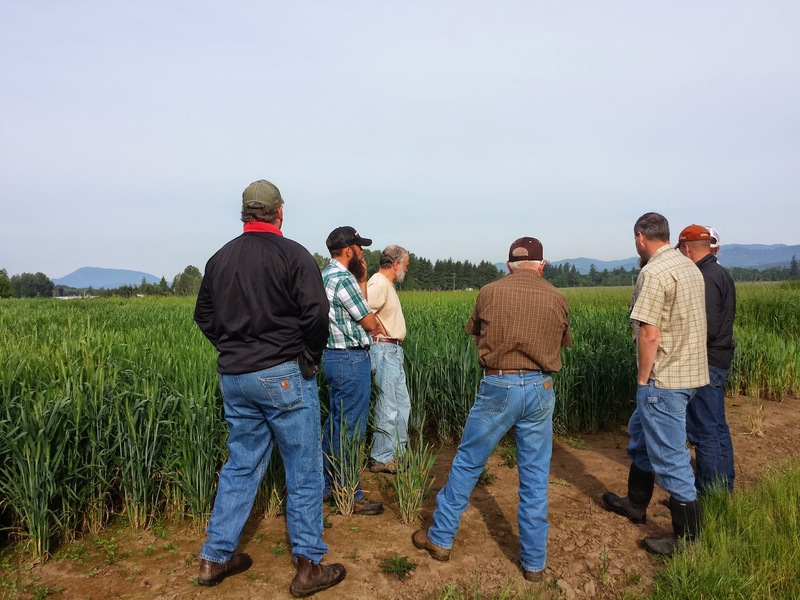 After two applications of an azoxystrobin-containing fungicide, the frequency of resistance increased to about 25% at Hyslop and 98% in Cornelius. Experience in Europe has shown that strobilurin resistance is caused by a single mutation and conditions resistance to all strobilurin fungicides. Preliminary evaluation of isolates collected this year suggest that strobilurin resistance has increased considerably since 2012. Based on these results and experience in Europe, it is unlikely that strobilurin fungicides will provide protection from Septoria for much longer. Strobilurins still provide very good control of stripe rust, however. Septoria across an entire field. We also evaluated Septoria isolates for sensitivity to propiconazole, the active ingredient in “Tilt” and its generics. High levels of resistance to triazole fungicides require multiple mutations in the fungus. 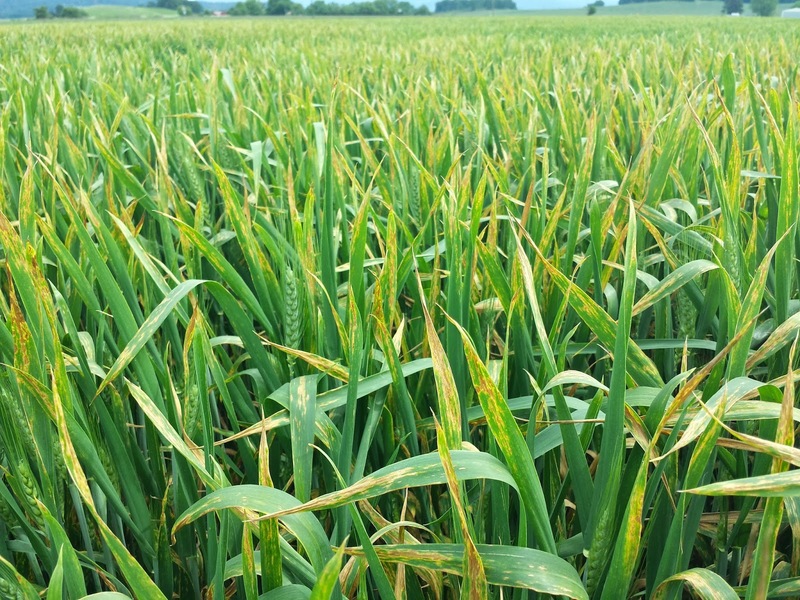 Evaluation of 2012 isolates showed that two applications of propiconazole significantly reduced the sensitivity of Septoria to propiconazole, though the impact of this on disease control is difficult to evaluate. On a more positive note, strong cross resistance does not occur among all triazole fungicides. In fact, we recently found that there is not strong cross resistance among the triazole fungicides propiconazole, tebuconazole, and prothioconazole. 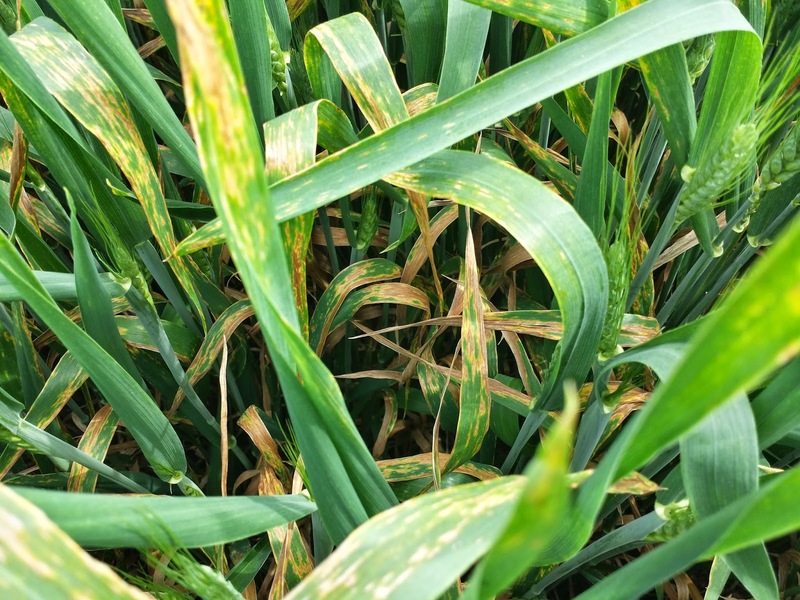 In addition, fungicides with a new mode of action, the succinate dehydrogenase inhibitors (SDHIs), have recently become available for Septoria control. main disease issue. 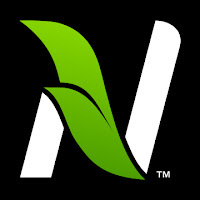 However, data from elite nurseries in 2012 and 2013 indicate that Ovation is susceptible to Septoria. Performance of Kaseberg in 2014 has generally been consistent with previous observations suggesting intermediate levels of resistance to stripe rust and Septoria. There are other observations from 2014 that are yet to be explained, for example, the unusually large variation in Septoria levels among fields and large amounts of Septoria in some fields even though they were sprayed with a non-strobilurin fungicide. 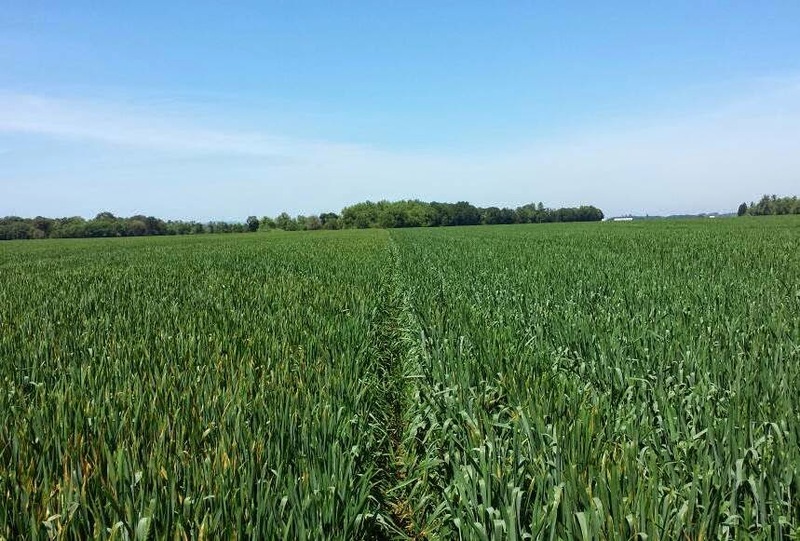 Multiple collaborative projects among the Wheat Breeding, Cereal Pathology, and Cereal Extension programs at OSU are underway to identify improved genetic strategies to attain high levels of durable resistance to major wheat diseases, with stripe rust and Septoria receiving significant emphasis. 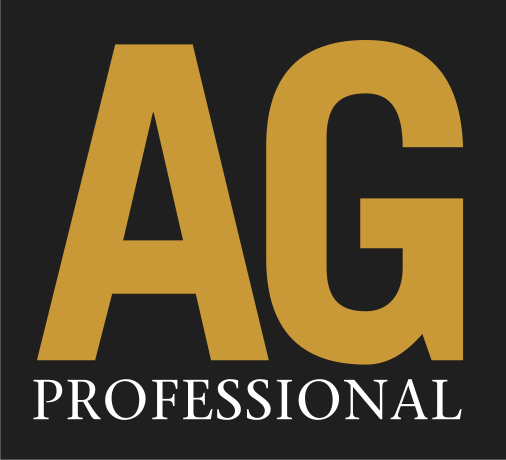 A big thanks to Chris Mundt and Mike Flowers for being willing to respond quickly and spend some time with us in the field. If you have questions or concerns please talk with your CPS Fieldman.